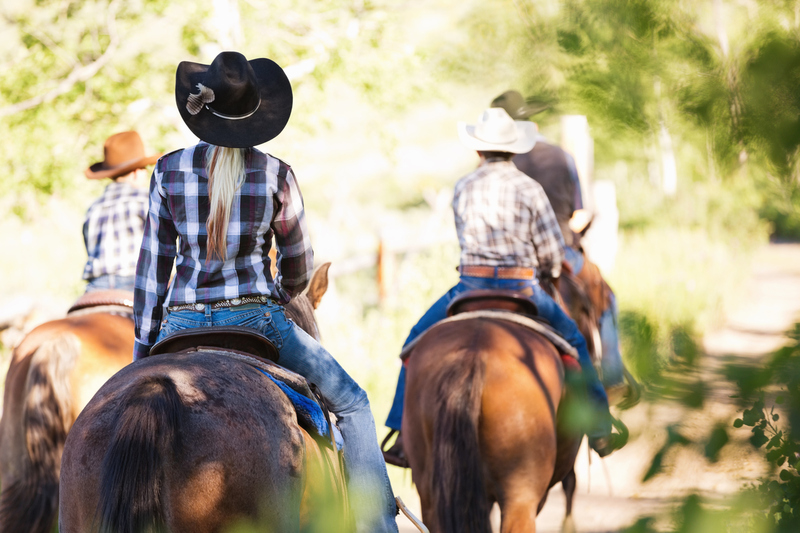 Whether you have ridden horses your whole life or you just want to get into it for the first time, you probably want to find a spot to ride in Ardmore. After all, unless you live on several acres and have horses on your property (which the vast majority of people do not), you’re going to want to find a great place to go. Luckily, people in Ardmore are crazy about their horses, and they love to ride. Therefore, there are plenty of places for you to check out when you’re in the mood to ride a horse. Here are some of the top spots to check out. Whether you’re looking for lessons for your kid or want to feel the wind whipping through your hair while you ride, you’ll love going to these great spots. What if you want to get out into nature and enjoy riding a horse at the same time? That’s easy to do when you go to Lake Murray Riding Stables. If you are just stopping in for the day, you can take a ride that’s about an hour long that goes through some beautiful natural scenery. It’s a relatively slow and easy ride, so you can kick back and enjoy while a guide leads you along the way. It’s a great activity for families, and even little ones should be able to ride without any major problems. But what if you want to ride for more than one day? If you really want to learn how to ride, you need to take lessons at Johnson Performance Horses. Here, you can learn different styles of riding, including both English and Western. Therefore, whether you want to compete or just ride for fun, you’ll learn all the essential skills you need to succeed. Not only will you learn a lot, but you’ll also have a ton of fun in the process. People love coming to Rockin Ranch for group events. It’s a simple and easy way to get out into nature and bond with animals all while learning how to ride. The trails are super smooth, and the guides will help you along the way. It’s going to be a great ride. Horses are so much fun to ride, but these days, they aren’t the ideal form of transportation. If you’re looking for a way to get around town, you’re going to need to invest in a new vehicle from Toyota of Ardmore in Ardmore, Oklahoma.